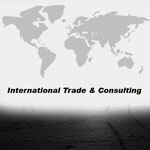 RZI, LLC was established in 2008 as an international trade development, management, and consulting company with the goal of providing highly customized sourcing, supply chain and project management services to clients seeking to leverage the strengths of their businesses through international trade. Our focus is on optimizing the supply chain for our clients and partners. We approach this by forging relationships for the long-term, challenging the status-quo when necessary, and inspiring excellence whenever possible. The global market place is fiercely competitive, to thrive it is necessary to not just find successful solutions that meet the needs of the day, but also to prepare all key participants to grow, develop, and succeed together. Our multi-lingual team of professionals works closely with our clients and suppliers to design, develop, and manage customized programs to achieve these goals. We specialize in developing supply chains for industries demanding the highest-quality products and superior customer service with operations throughout North America, Latin America, East Asia, and the EU. We work from top to bottom of the supply chain, and our services and capabilities range from sourcing, supplier development, quality management, through import/export operations, documentation, translation, and logistics. We provide industry research, customized market development consulting, perform supply chain/factory assessments and audits, as well as supply chain due diligence services for clients engaged in or exploring opportunities in international trade.